I'm a big fan of crispy fried chicken. They make the ideal snack on the go for any time of day. 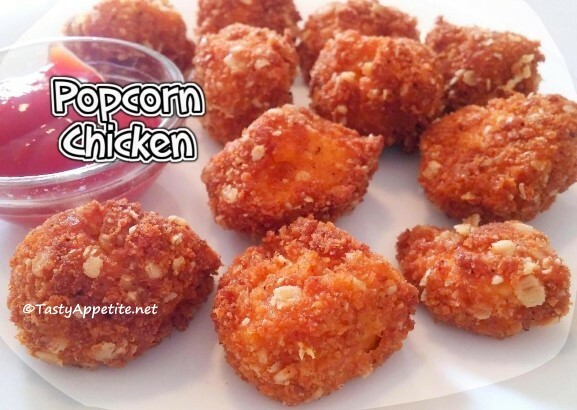 Most chicken lovers would love this tasty spicy bite-sized crispies. It can be quickly prepared at home with few ingredients. It makes a great healthier alternative to store bought fried chicken. 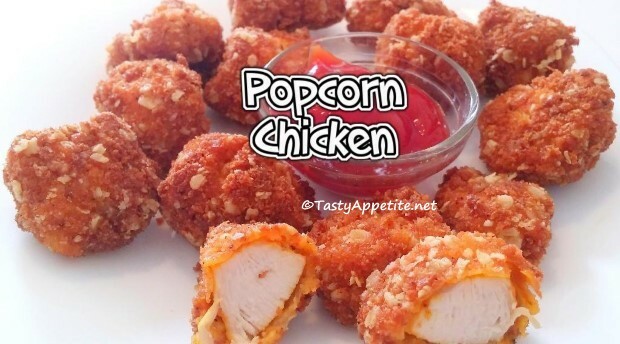 Try this quick video recipe and enjoy the irresistably delicious crispy & juicy popcorn chicken. In a mixing bowl, add boneless salt, turmeric pwd, red chilly pwd, pepper pwd, ginger garlic paste, lemon juice and combine. Coat the chicken well with masala and marinate for 1 hour. In bowl 1, add milk and egg. In bowl 2, add maida flour, salt, onion pwd, pepper pwd, garlic pwd, red chilly pwd, turmeric pwd, baking pwd and sugar. In bowl 3, add bread crumbs and oats. Now keep ready the marinated chicken and bowls. Take marinated chicken, roll in flour, dip in egg+milk mixture and coat it along with flour and bread crumbs as shown in video. Deep fry the chicken until it turns crispy and golden. Lipsmacking crispy homemade popcorn chicken is ready. The spicy crispies tastes sooper delicious along with hot sauce, tomato ketchup, mayonaise or any dip of your choice.